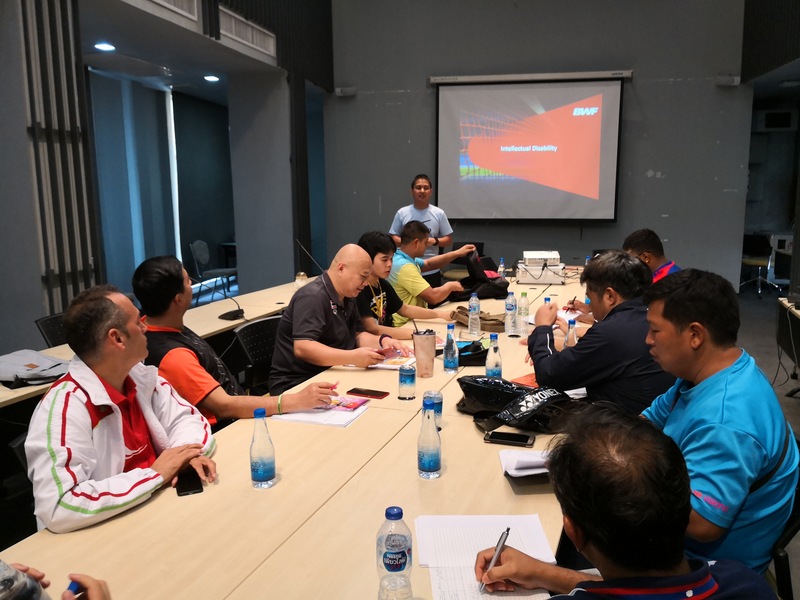 Focused on increasing Asia's participation in the 2020 Tokyo Olympics, Badminton Asia successfully conducted its first Para-Badminton workshop in Bangkok from July 19-21. The Coaching and Training Camp was held at the Rajamangala Stadium in Bangkok with seven participants from the Asian region. The workshop was conducted by the Badminton World Federation's (BWF) Development Manager John Shearer, who was assisted by Badminton Asia's Development Officer S. Sambenthan; Muhammad Andy Ardiansyah (Badminton Asia's Development Executive) and Muhammad Zuno, BWF Para-Badminton Tutor from Brunei. The opening ceremony on July 19, 2018, was attended by Badminton Asia's Development chairman Moosa Nashid; Ramji Bahadur Shrestha (Badminton Asia's Para-Badminton chairman); Thanabalan Arikrishnan (Development manager of Badminton Asia); Pornsak Boorabaprateeprat (President of Thailand Para-Badminton) and Pipat Chantarapaichit, the coordinator of Thailand Para-Badminton. 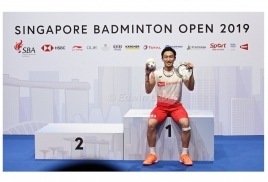 "Our focus is on training towards increasing Asia's participation at the Tokyo 2020 Paralympic Games. 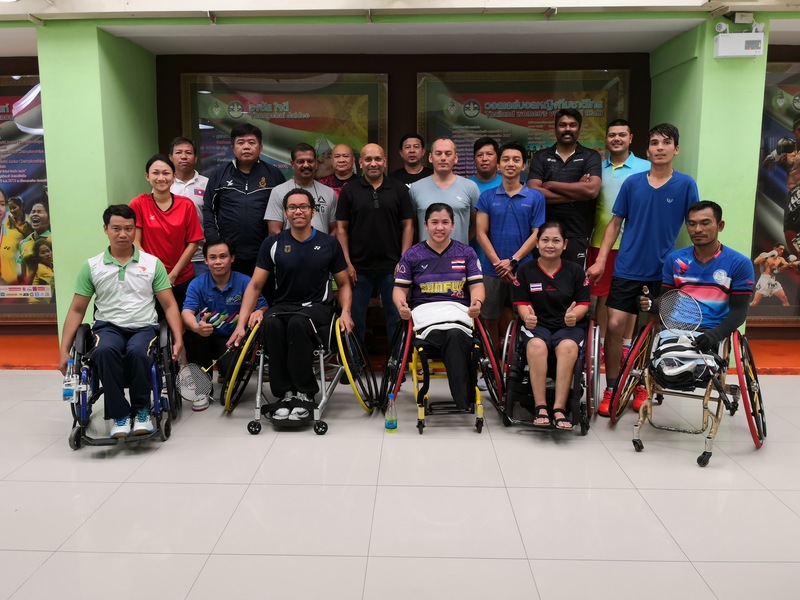 With this in mind, we are also targetting at having more participants at Para-Badminton Development Training Camps across Asia this year," said Moosa. 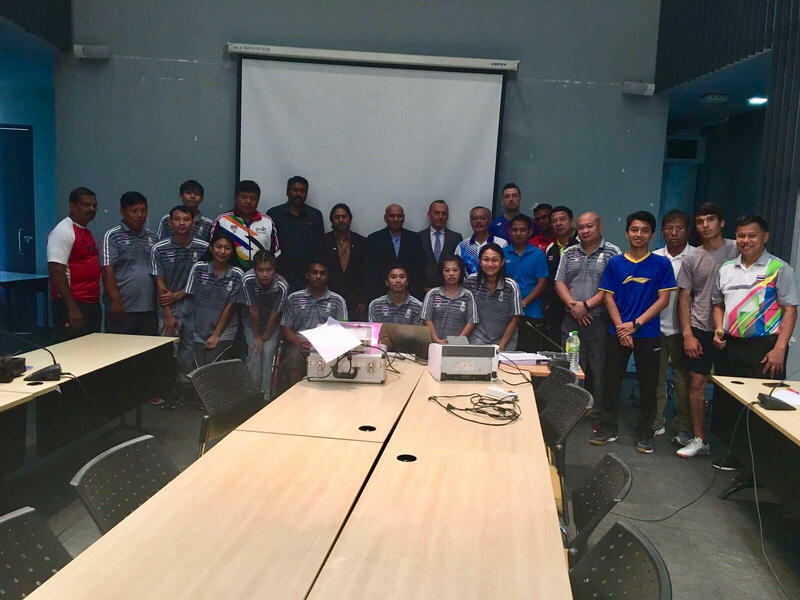 The training camp in Bangkok was attended by seven participants with four from Thailand and one each from Cambodia, Laos, and Tajikistan. 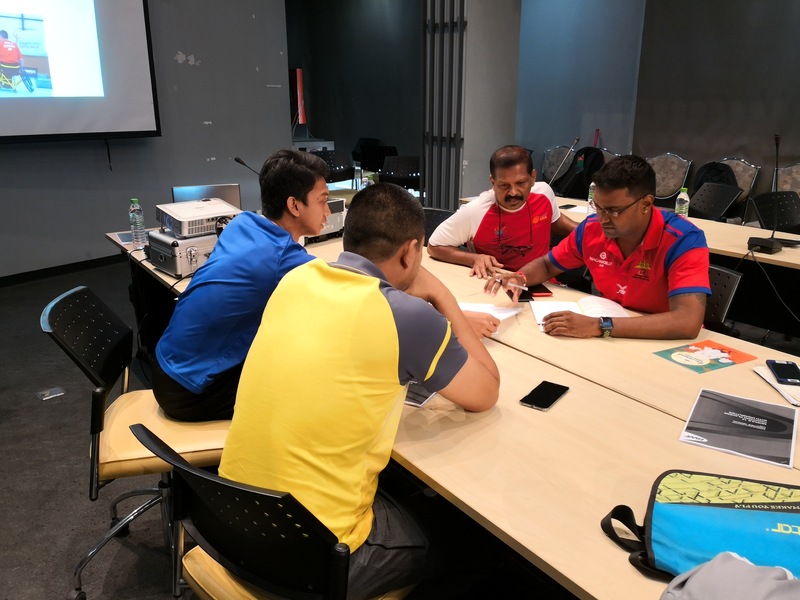 The highlights of the camp were that the participants were able to identify the basics of different types of classification in Para-Badminton which included "Intellectual Disability" and "Deaf" players. Coaching principles, process, and planning activities for Para players were discussed during group work and discussions and what a coach needs to think about the different type of Para players. Coaches also had the chance and experience of doing their badminton activities using the wheelchair to plan their badminton for Para players according to different types of disabilities.